at the Salon de Ning, Manila Peninsula last Thursday (June 2). Hosted by Sarah Meier-Albano, the brief but clearly unforgettable press conference kicked off with a short introduction from Penshoppe’s Brand Director Alex Mendoza and Vice-President for Brand Management Jasper Evangelista. 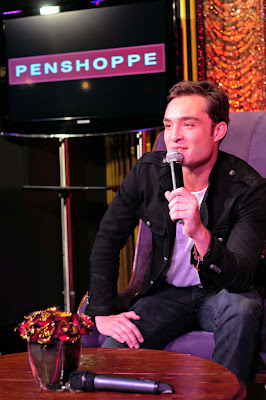 For Penshoppe’s 25th year, the brand wants to “make a statement” and “improve the whole package” by making Ed Westwick their lead endorser. The campaign, shot by Australian fashion photographer Darren Tieste. How easy or tough has it been to prove to people that you’re more than just Chuck Bass? 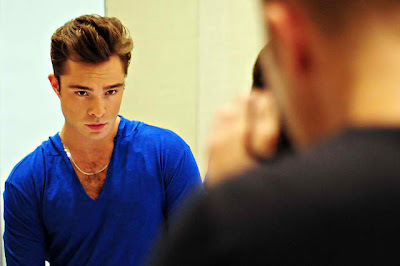 And what’s something about you that Chuck Bass doesn’t or will never have? Penshoppe has prepared a great collection of clothes for you. You did a little run through of them at the shoot yesterday. Are they more Ed Westwick or Chuck Bass? I think they are more like a combination, actually. It’s quite a bit wholesome– more like what I’d wear. There aren’t too many multi-colored bow ties or things like that but it’s a great combination. There are a lot of great jeans. I’m wearing some of the stuff right now. I’m a pretty big fan of this coat that’s why I’m wearing it right now. 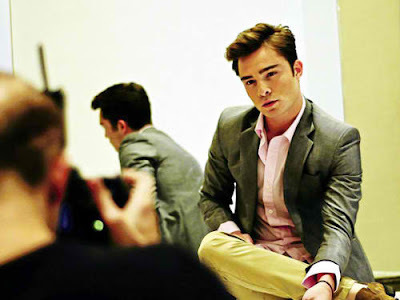 What’s the biggest influence Chuck Bass had on you? What was your concept of the Philippines before coming here, and now that you are leaving tomorrow? Well, I spent some time reading about Philippines on the way here. I was surprised to know there are 7,000 islands. That’s amazing, for me. I know it’s very rich in culture, but I didn’t know too much. Now, I’ve kind of touched the surface. I definitely want to make a trip back. I wanna get out to some of the islands which I hear are paradise. Very excited. Great script that keeps the traditional flow of Shakespeare’s traditional language. It’s been fantastic. I get to play Tybalt, the fiery cousin of Juliet. We’re gonna shoot in Verona, which is one of the oldest places in Italy. In between tapings, how do you spend your leisure time? I like to play football, hang out with my friends, watch movies, because I’m an actor. Apart from acting and modelling, do you have other talents? Oh well. Until then, and to the next press conference.